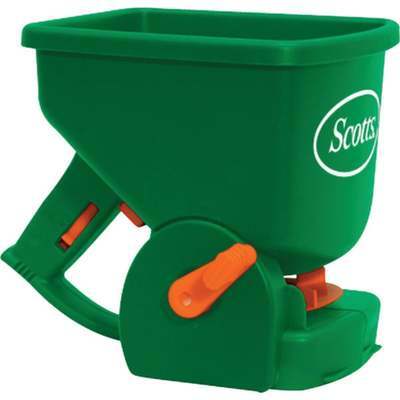 Ideal handheld spreader for small yards. Fully assembled and ready-to-use. Uniformly spreads lawn fertilizer, grass seed, ice melt, and other products. Rustproof.